Donald Trump was elected the next president of the United States, and some financial experts believe that the President-elect could be good for the housing and mortgage industry. One of the areas of real estate that could see more activity is in home equity loans. 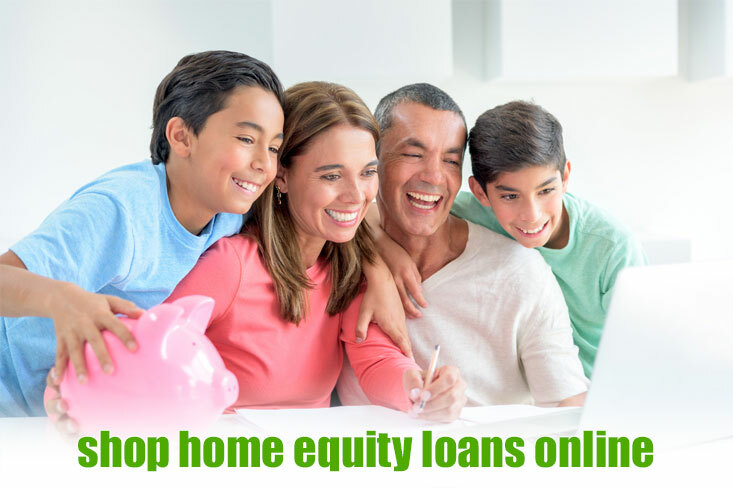 A home equity loan is a form of a second mortgage on one’s house. In the past, home equity programs would rolled out by banks when interest rates switched direction, because homeowners always need access to cash, but sometimes they don’t want to refinance their current mortgage because they already have an interest rate below the market-level. In November 2016 after the election, the consumer confidence index soared to levels not seen in more than eight years. The reason for this could be that people were feeling more optimistic with Trump becoming president, or they just feel more hope because the presidential race was finally decided. Black Friday in November 2016 also was a record, with more than $3 billion spent online alone. This is another sign that people are feeling more confident, which could soon be reflected in more home loans. The unemployment rate also is under 5% and many consumers may feel they will be able to make more money in the coming months and years. If the labor participation rate rebounds and the home-ownership rate for Millennials rises, then we anticipate home equity exploding. When people feel more confidence in the future, they are more likely to buy things. They also are more likely to take out equity loans. People taking out home equity loans and the masses suggest that people are feeling confident enough about their finances to take on more debt on their own residence. It remains to be seen if the high consumer confidence index will last, but so far, people seem to be looking to the future under a Trump administration with more optimism. It will be interesting to see what the credit standards and home equity loan requirements are in the next few years as the mortgage industry rebounds. While it is possible that rates could go up in December 2016, home equity loan rates are still near record lows. As people are feeling more confident in the future under a Trump administration, we think that they will be more likely to buy things on credit. Rather than putting expenses on a high interest credit card, some people will likely decide to buy things with the very low interest equity loan secured by their home in the form of a second mortgage. As long as interest rates on equity loans stay under 5%, we think it is likely that increased economic activity could lead to more people buying goods and services with rising equity. Most industry experts believe that home equity loan rates will remain on the low side when looking at a graph over a 10-year period. A tax cut bill will have to wind its way through Congress. But if there ends up being a substantial tax cut for the middle class, this will put more money in people’s pockets. When people have more of their own money, they will spend more. We also believe that this potential tax cut could give people the money that they need to pay for closing costs for their equity loan or HELOC. Tax cuts usually result in higher economic activity, and this usually applies to home buying and taking out mortgages. The stock market definitely surged in late 2016, with the Dow going over 19,000 for the first time in history. We believe that this portends a jump in the housing sector, and prices of homes could see a jump in the next two or three years. If that pans out, homeowners will want to take advantage of the increasing market to sell their home. Before people sell their home, they often fix it up by leveraging the equity they have in their property. With a house equity loan, homeowners have the chance to increase the value of their property by doing renovations. Increasing home prices will cause a surge in equity, and this would definitely would make people take out home equity loans. Many homeowners will borrow $25,000 or more to make major renovations to their home. By fixing up the kitchen and bathroom, for instance, they will be able to sell their home for a higher price than before. One of the most popular reasons that homeowners get home equity mortgages is to make home improvements, which result in more money in your pocket when you sell. Appreciating house values would help people with credit issues, because they would have more equity, a lower Loan to Value and a stronger likelihood of getting approved for a home equity loan with bad credit. We continue to hear whispers of more subprime lenders returning, so hopefully this will mean more poor credit equity loan programs on the horizon. A new presidential administration is often a time of greater economic optimism, and many people believe that Trump’s business and real estate experience could result in much stronger economic activity in the next four or more years. If Trump turns out being able to get America into 4-5% economic growth again, this will cause people to be looking for the best home equity loans in an effort to enjoy the higher value of their houses. Get the straight scoop on how to stretch your savings every month with a simple home equity loan. If you are tired of paying high interest on charge cards and student loans and you thinking about pulling the trigger on a home equity loan, there are some important things to know. Equity is the amount of the home that you actually own, compared to what you owe the bank. So, if you have a home that is worth $250,000 and you owe $200,000 to the bank, you have equity of $50,000 – 20%. This value is most often described as a loan to value ratio, which is the remaining balance on the home loan compared to what the property is worth. The above case would be 80. Most lenders want you to have a minimum 80% LTV after you have taken out the home equity loan. So you need to own more than 20% of the home before you are able to qualify for the loan. So, if you have a home that is worth $250,000, you will probably need to have an equity stake of 30% in the home, or a loan balance no higher than 175 k, to get a $25,000 home equity loan. We don’t mean to encourage debt you cannot afford, but banks do not issue home equity loans or HELOCs for $1,000. The smallest loan you can usually get is $10,000, and some lenders won’t do anything smaller than $25,000. 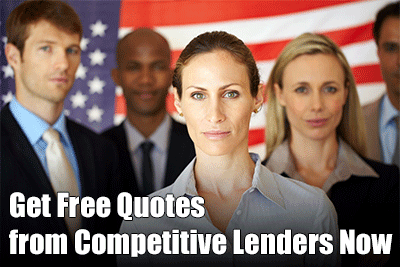 If you need a smaller amount, a HELOC loan may be a better option. You can qualify for, say, $20,000 and only use $5000 if you like. You will need to have that $20,000 in home equity, but you do not have to use it all if you do not want to.